I’ll admit, it took me fully 24 hours to calm myself and sit down in front of a computer to write this ‘report’. 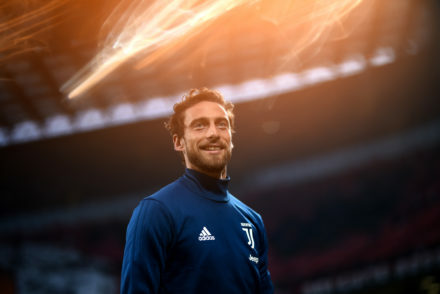 Typically, I would just highlight what happened in the match and comment on the chances Juve and/or Gladbach created….except there were none, or at least none that i can actually remember. 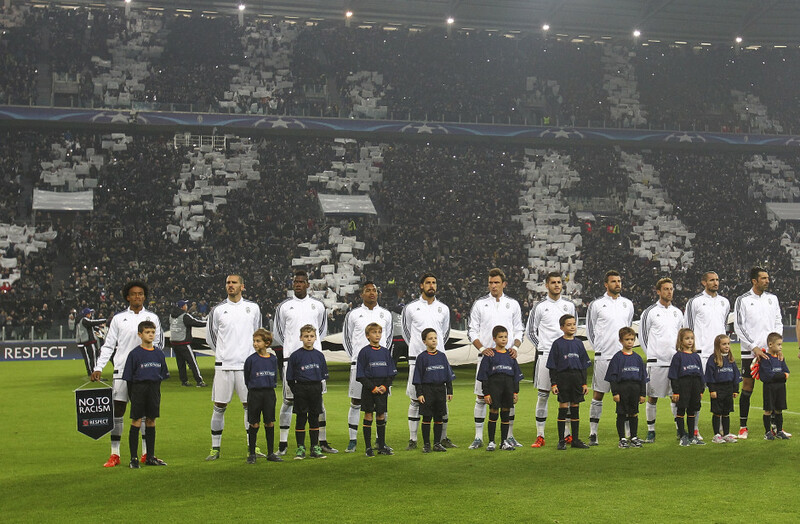 The game started in a confident fashion, Juve holding the ball well, the midfield putting together some very good passes back and forth and Alex Sandro and Juan Cuadrado pushing forward down the flanks. There was some half chances, Paul Pogba creating a chance from distance and Cuadrado skimming the crossbar, and that looked promising for a while, but it wasn’t to last. The remainder of the game seemed to revolve around the Juve defence snuffing out what little Gladbach offered in terms of attacking threat, passing the pall into midfield, where it all seemed a little pedestrian. Passing out wide was all well and good, but when Bonucci shot from outside the D, you got the impression that this game was going to end in a draw or possibly stealing a late goal. I doubt anyone will bother reading my ramblings, but if you did take the time to read this Juventino’s rant, write ‘Del Piero for president’ in the comment section at the foot of this page. It’ll make me smile and take my mind off two dismal draws in a row. 1. 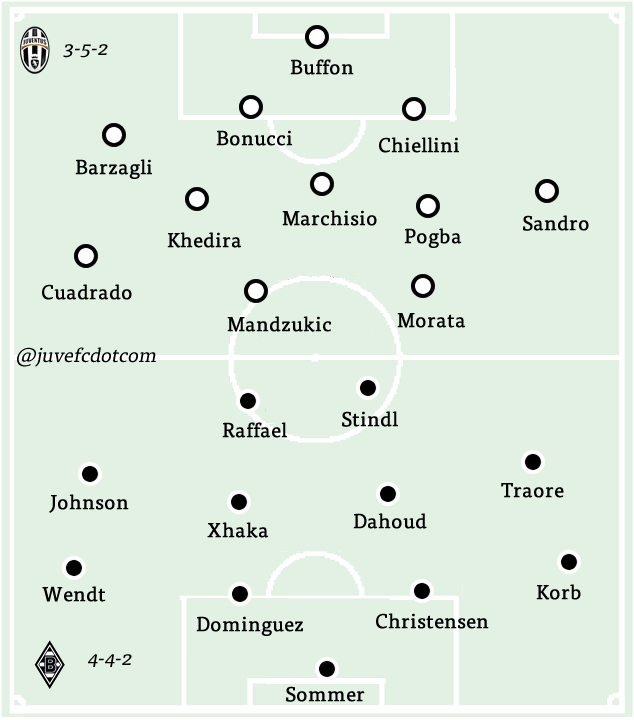 A clean sheet – Given the dismal start to this season, two clean sheets in a row is not a bad thing and perhaps it’s an indicator that in this new look 4-3-3/3-5-2 hybrid, Juve are getting at least oen thing right. 2. Paul Pogba – Yes, i know, i know. It was a poor result and Pogba didn’t play that well. The reason i mention it as a positive is because it’s a marked improvement on his earlier displays this season. 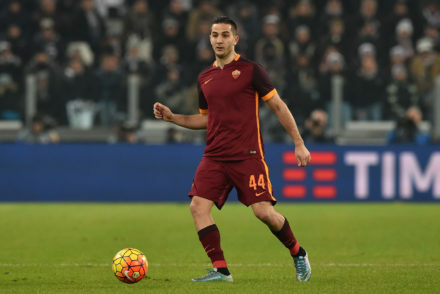 He even managed to get a shot on target and continued to do the simple things right. It’s a start. 3. Andrea Barzagli – Probably the highlight of the night (and the last two matches) – Barzagli at right-back is a thing of wonder. Twice, i’ve seen him intercept a dangerous looking pass and then gallop down the right to turn defence into attack. 34 years old and he’s still surprising us. Bravo!